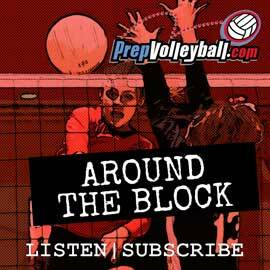 PrepVolleyball.com recognizes seven players and four teams this week for national honors as a result of an upset-filled third week of intense volleyball action. 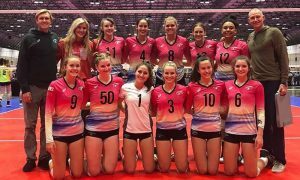 Morgan Hentz, libero, Stanford – The AVCA chose Hentz’ teammate, Kathryn Plummer, for its national award. With so many outstanding players and performances each week, we will endeavor not to recognize the same player. So why not Hentz, who was named Pac-12 Defensive Player of the Week after averaging 5.43 digs per set as the Cardinal defeated two top 10 teams in Penn State and Minnesota? The junior, a First Team All-American a year ago, had a season-high 22 digs in the four-set win over the Golden Gophers and was error-free in 28 receptions as Stanford enjoyed a 2-0 weekend. Hentz has reached double digits in digs in all eight matches this season (including Stanford’s sweep of Texas last night). Torrey Van Winden, OH, Cal Poly – The junior averaged 5.5 kills and 2.6 digs per set over the weekend as Cal Poly twice defeated UCLA, Van Winden’s former team. She had 18 kills, 13 digs, three blocks and two aces in Thursday’s four-set win over the Bruins and was even better in Friday’s rematch, contributing a season-high 26 kills to go along with eight digs, four blocks and an ace in another four-set win. Ten of the 26 kills in Friday’s match came in the third set, which put the Mustangs up two sets to one. For the season, Van Winden leads the No. 6 Mustangs (7-1) in kills and kills per set and ranks in the top three in digs, blocks and aces. Chase Wassel, OH, Holy Family – The Tigers were 2-4 going into the week but won five consecutive matches to get above .500 on the season. Wassel, a 6-1 junior, led the way. She totaled 92 kills for the week, averaging 5.41 kills per set, with a high of 27 in a four-set Friday win over American International College. Over 17 sets, Wassel also contributed 56 digs, seven blocks and nine aces. She was named CACC Player of the Week. 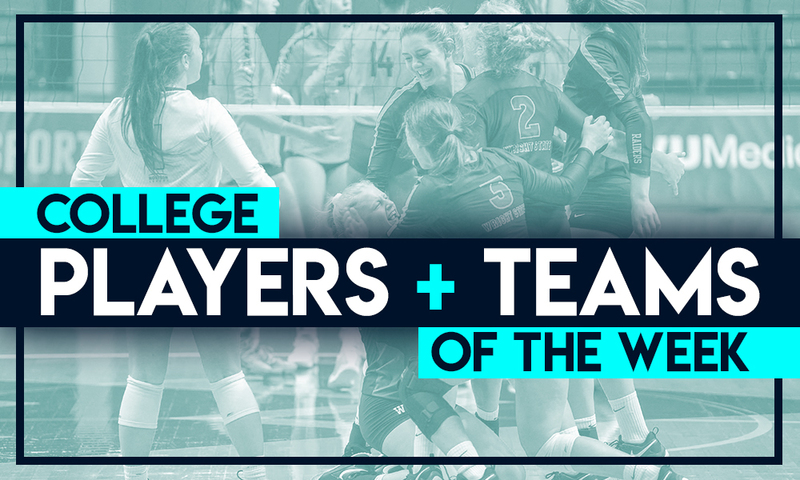 ‘elan McCall, OH, TCU – McCall was named Big 12 Rookie of the Week for the third consecutive week after leading the Horned Frogs to a 3-0 weekend at the Fight in the Fort tournament. The tournament MVP had 56 kills over the weekend, averaging 5.1 kills per set, and became the first Big 12 player this season to have more than 20 kills and 20 digs in a match when she recorded 25 and 22 in a Friday win over Louisiana Lafayette. McKenna Melville, OH, UCF – Melville was named MVP of the UCF Challenge after a 3-0 weekend for the Knights. 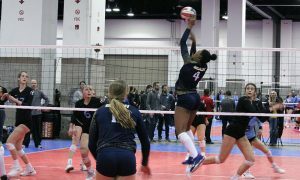 The native Minnesotan, who was recruited to be a libero but grew into a 6-1 outside hitter, averaged 3.7 kills and 3.8 digs per set while hitting .275. She had 17 kills and hit .483 in the tournament finale versus Wofford, had a double-double versus Illinois-Chicago and notched 20 digs in a sweep of FIU. Through nine matches, Melville leads UCF in kills and is second in digs. 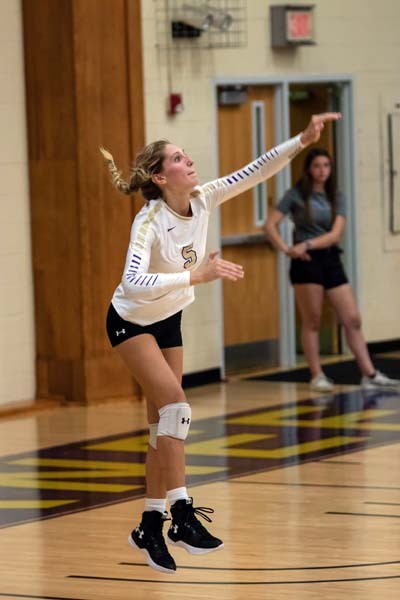 Lilly Reilly, RS, University of the South, Sewanee – Reilly was recently named AVCA Division III National POW and with good reason. The 5-7 freshman was named Most Outstanding Player at the Maroon Classic as the Tigers went 4-0. 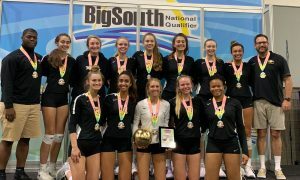 The team finished 5-0 for the week, improving to 8-1 on the year, with Reilly averaging 3.7 kills and 3.0 digs per set. She had a double-double in three of the five matches and never hit lower than .345 in any match despite entering the week hitting .110 for the season! 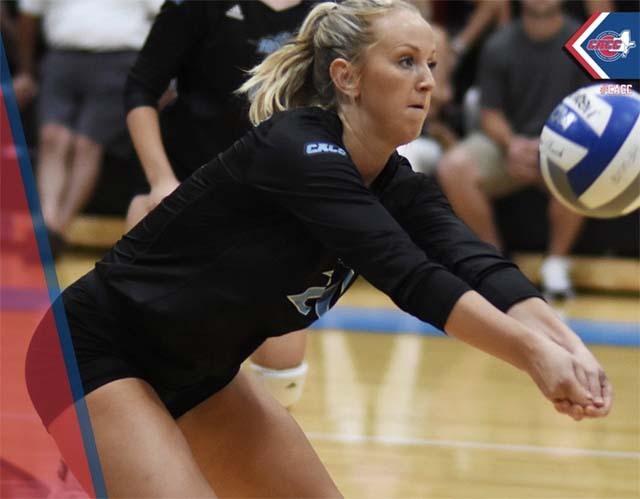 Kaitlin Meyer, OH, Westcliff University – The only senior on a brand new team competing in its first season, Meyer is not only the team leader, she also has led the team in kills in every match played so far in 2018. Meyer, who played at the JUCO level for two years before playing mostly defense at New Mexico Highlands in 2017, led Westcliff in both kills and digs in its first-ever program victory over Antelope Valley and currently averages 3.4 kills and 2.65 digs per set. “She is the epitome of unsung here for her team and for this program,” said head coach Kristen Iordanova. Michigan – The 9-0 Wolverines are one of only nine unbeaten teams remaining in Division I and the only one without a set loss on its resume. Michigan went 4-0 last week, sweeping Valparaiso, Oakland, LSU and nationally-ranked Colorado State. The win over Oakland, in which freshman Paige Jones had 12 kills, marked No. 600 in the 27-year head coaching career of Mark Rosen. Jones added 18 kills and seven aces and libero Jenna Lerg contributed 18 digs in the Wolverines’ win over Colorado State, which avenged two losses to the Rams last year, including one in the NCAA Tournament. 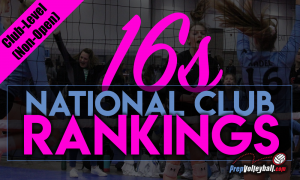 Thomas More – The Saints from Kentucky went 4-0 on the week to remain undefeated and rose from 23rd to 14th in this week’s AVCA Division III national rankings. One of the wins came over nationally-ranked Ohio Northern, the second time this season Thomas More has prevailed over the Polar Bears. In the latest win on Friday, Jenna Fessler had 33 assists and three Saints reached double-figure kill totals: OH Madison Krumpelman and middles Jenna Mummert and Julia Popova. Popova was named conference Offensive POW while sophomore Jessica Ginn, who had 77 digs over four matches, was tabbed as the conference’s Defensive Player of the Week. Northern Arizona over national top 10 Florida on Friday. There were several massive upsets this past week in Division I but none bigger than Northern Arizona’s stunner over a Florida Gator team that not only was NCAA Division I runner up in 2017 but also knocked off defending national champion Nebraska to open the 2018 season. Other than being at home, there wasn’t much to suggest that the Lumberjacks could stay on the court versus Florida. Northern Arizona was 0-13 previously versus nationally-ranked teams and had lost this season to the likes of Nevada and Western Michigan. Florida, by contrast, came in winners of three straight, including a four-set decision over nationally-ranked Louisville. And the Gators had pummeled Cal State Northridge earlier that day. Florida took control early in the first set, built a five-point lead at 8-3 and still led 13-8 before Northern Arizona went on a 13-2 run, highlighted by kills from Abby Akin, Kaylie Jorgenson, Ryann Davis and Heaven Harris, to turn the set on its head. Florida trailed late in the second set as well before a serving run from freshman DS Paula Cerame helped the Gators pull out the close win. By this point, Florida knew that it had a fight on its hands, but that didn’t stop Northern Arizona from assuming control midway through the third set. The Lumberjacks led by as many as six before a final kill from Aubrea Banfield put Northern Arizona up by a set once more. The fourth set was tied at 12-12 before the Gators went on a run to take a 21-15 lead on a Rachael Kramer kill. Northern Arizona got no closer than four the rest of the way and when Thayer Hall scored, the teams were heading to a fifth set. 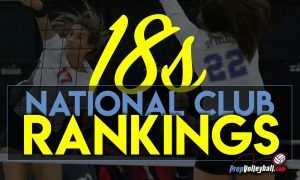 Once again, the expectation was that the team with all of the big-match experience and the Senior Aces would find a way to prevail and it looked to be heading in that direction when Florida jumped to a 3-0 lead. But NAU responded with four in a row and appeared hungry for the upset. The match stayed fairly close the rest of the way. A kill from Hall put the Gators up 9-6 but Northern Arizona scored six of the next seven, including two kills from Sydney Lema, to take a two-point lead. Florida responded with three in a row to go up by one, but NAU answered with three of its own, the final three, including back-to-back kills from Jorgenson to complete the upset. Murphy said there wasn’t time during actual play to think about the possibility of taking down the Gators. “Honestly, during the match we were just grinding,” he explained. “[We were] trying to learn as we went and encourage our players to stick to our style of play. Our team has spent some time this year wondering if controlling our side and working really hard would be enough to win a match like that and we just wanted to keep giving them confidence that it would be. One more fact made Northern Arizona’s win over Florida even more amazing: one day later, the Lumberjacks lost to 4-5 Cal State Northridge! Angelo State over Division II No. 17 Texas A&M Commerce on Friday. Angelo State was at home playing a hot Lion team that had won three in a row and was in the AVCA Division II top 25 for the first time in 29 years. The Belles lost the first two sets before rallying to take the next three and won, 15-12, on a kill by Audrey Fragniere, who finished with a match-high 21. *Three National Players of the Week, one from a Power 5 Conference (ACC, SEC, Pac-12, B1G Ten, Big 12), one from a Non-Power 5 Conference in Division I and one from a Non-Division I Conference. *Three National Freshmen of the Week, one from a Power 5 Conference, one from a Non-Power 5 Conference in Division I and one from a Non-Division I Conference. *One Unsung Hero of the Week. *Two Teams of the Week, one from Division I and one from a Non-Division I Conference. *Two Upsets of the Week, one in Division I and one in Non-Division I.